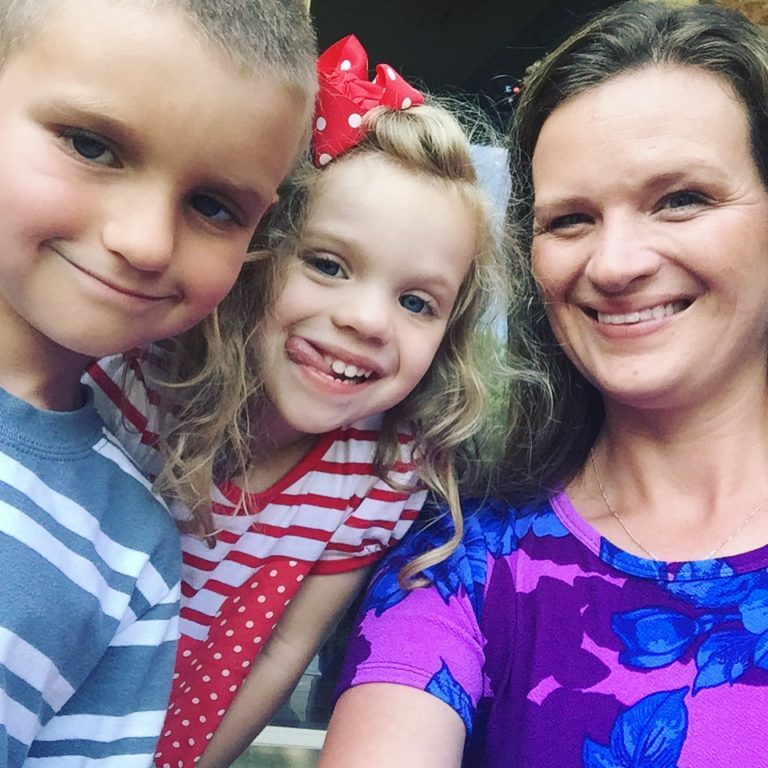 We are a family that loves to read. There was a time when I was a little worried that my son might not inherit his parent’s love for reading. 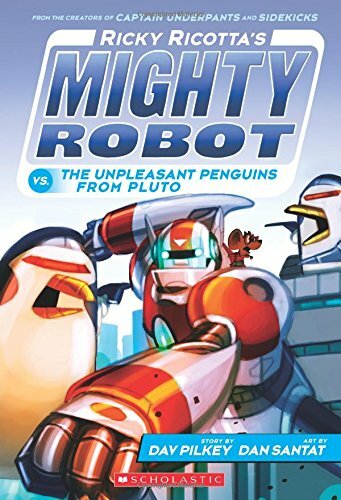 But the Mighty Robot Books changed all of that! 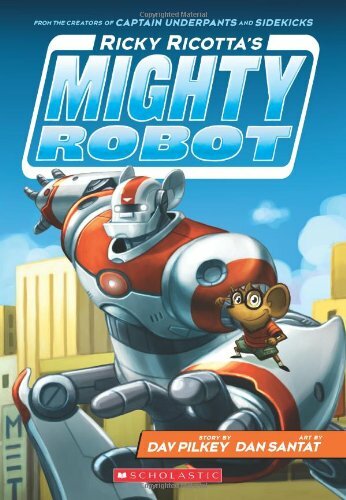 Jonah loves adventure and science and fantasy and Ricky Ricotta’s Mighty Robot Books are all of that combined. Ready to get reading now? 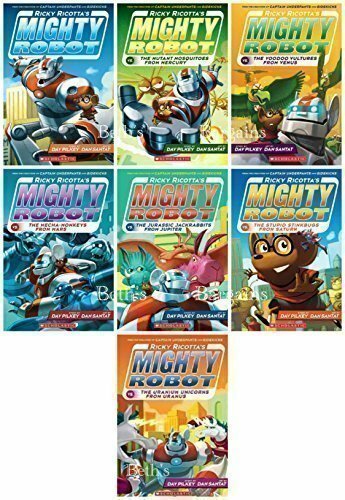 Get the first 7 Mighty Robot Books set here! 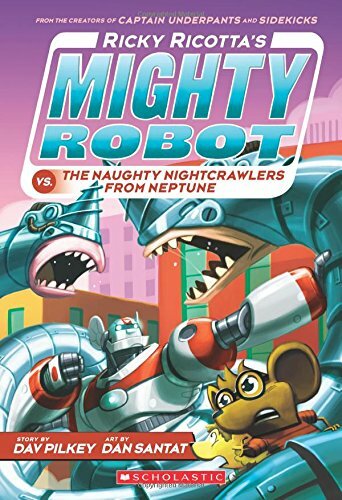 Dr. Stinky, an evil scientist who threatens to take over the world, has a malfunction with his robot when he would rather befriend a young mouse than terrorize the city. 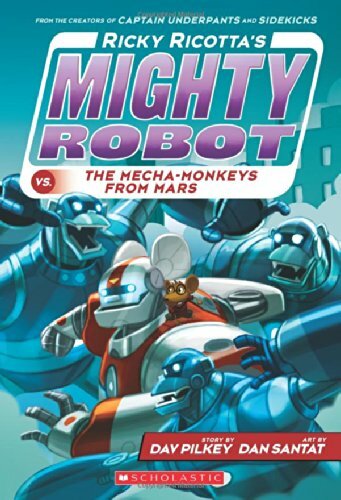 The robot teams up with Ricky Ricotta and together they save the galaxy from Dr. Stinky and anyone who tries to destroy it. 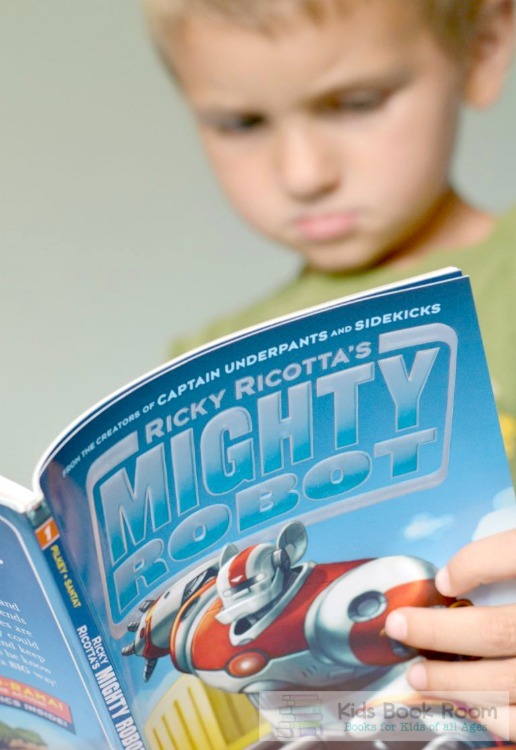 The series is written by Dav Pilkey, creator of the Captain Underpants books, who knows how to capture a reluctant reader’s attention. 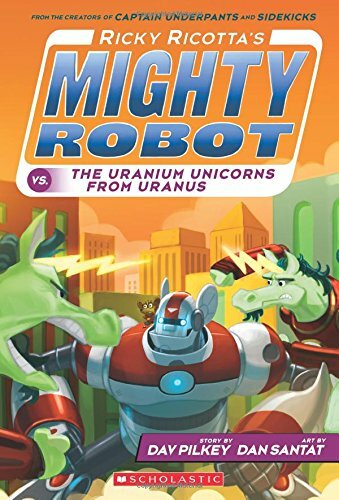 While Captain Underpants may not be appropriate for young children, the Mighty Robot Books sure is. 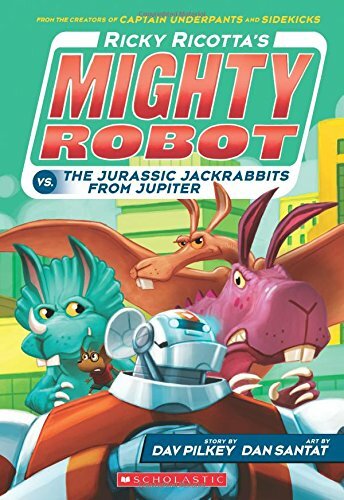 My son loved all of the adventures and the full-color illustrations in the book really caught his eye. I was amazed by how quickly he read the first book and immediately ask to read more of the series. 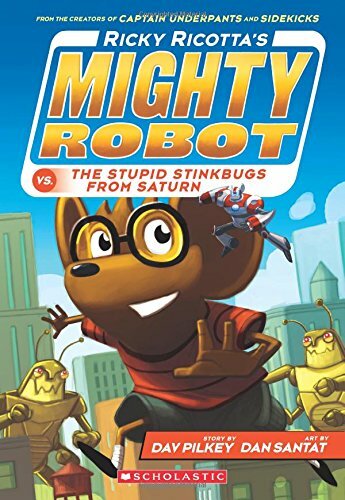 I feel pretty good about the story line and how Ricky and his Robert have to use problem solving skills to help save the world from Dr. Stinky. 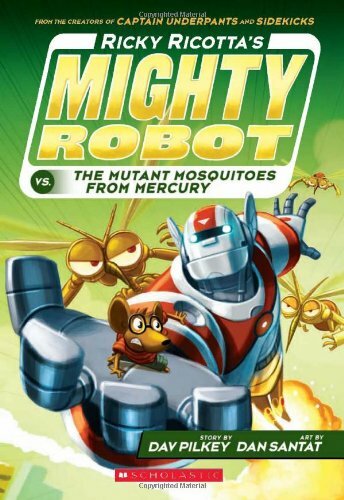 Its the type of adventure that I would like my kid to go on if he was living in a world with robots and mice who act like humans. 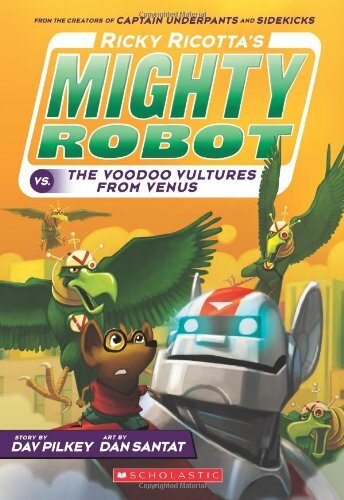 This is a great series for young readers to get started with! 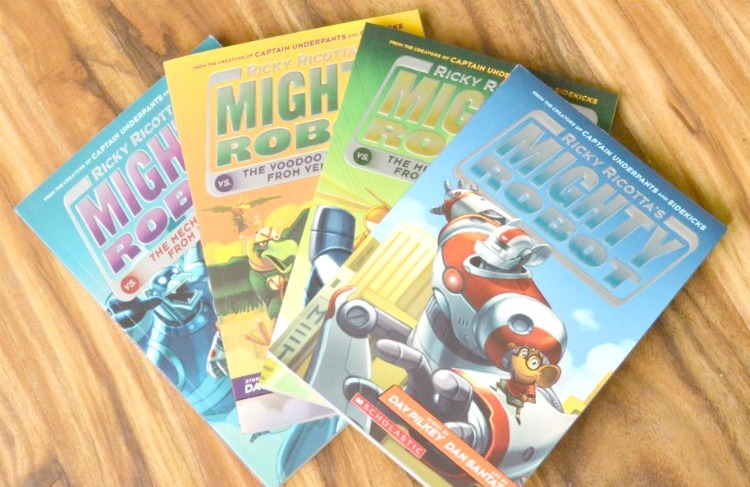 Currently there are 9 different stories in the Ricky Ricotta’s Mighty Robot Books series. 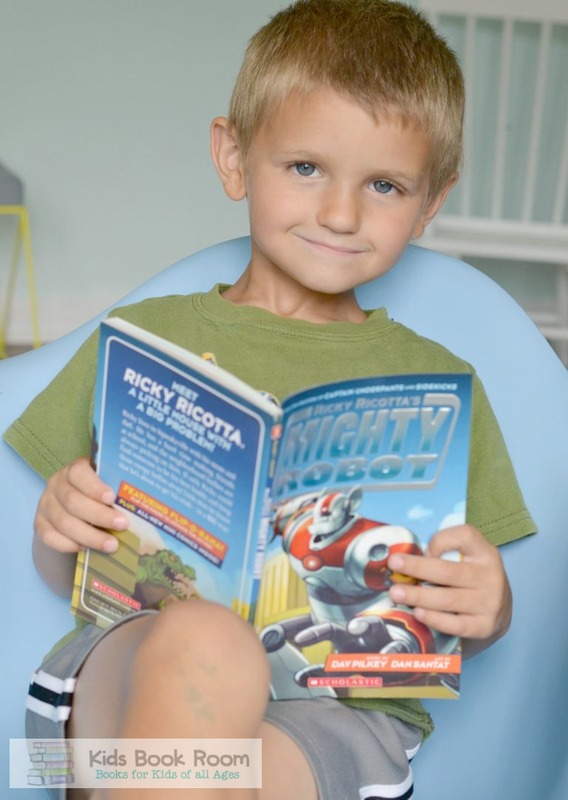 Get your little one excited to read with the Ricky Ricotta’s Mighty Robot Books! Thanks for letting me know about these books. They sound great for my first graders!